My picture may not have given it away. So, just in case, I am going to help you out here. I am not Greek. I have never sailed the Mediterranean Sea, nor have I had an opportunity to visit any of the beautiful countries such as Lebanon, Israel, Italy, or Greece – that surround it. In fact, I have never tried an authentic Mediterranean dish at all – Until now! On the 16th and 17th of September, Modesto celebrates The Greek Food Festival. However, this afternoon, with encouragement from Chris Murphy, (our Publisher), I stepped out to try Mediterranean food for the very first time. Chris recommended Papachino’s Greco-Roman Restaurant. I had no idea what to expect, but I didn’t think it would kill me! Seriously, I died! I died and went straight to: Mediterranean Foodie Heaven! 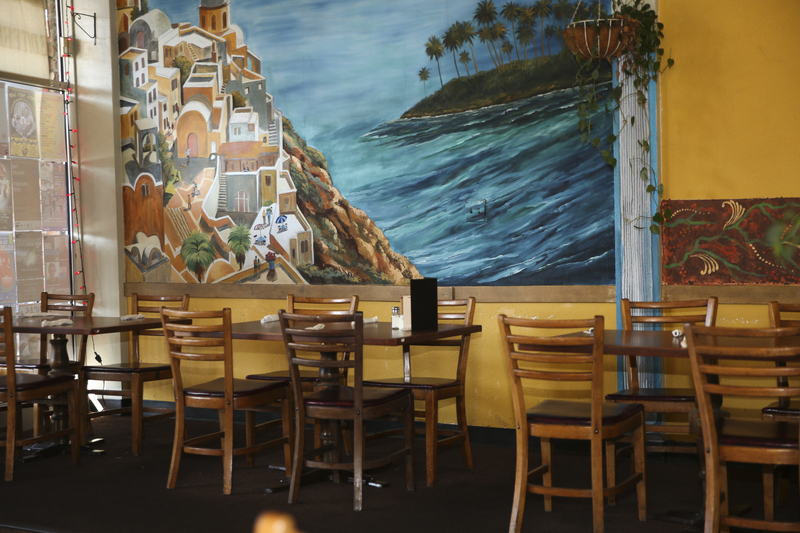 Conveniently located at 1212 J Street, Papachino’s is a charming family restaurant. Manuel Escobedo has been the owner since 2008. He was gone the day I came in, so instead, I spoke with his son, Manager, Manuel Escobedo Jr. and the Assistant Manager, Christina Martinez. Modesto View photographer, Michael (MJ) Mangano also came along. He took the fabulous photographs! Papachino’s menu has a plethora of tantalizing Appetizers, Pastas, and Gyro (pronounced Euro), Sandwiches. The food is made from scratch, – in-house. Everything! 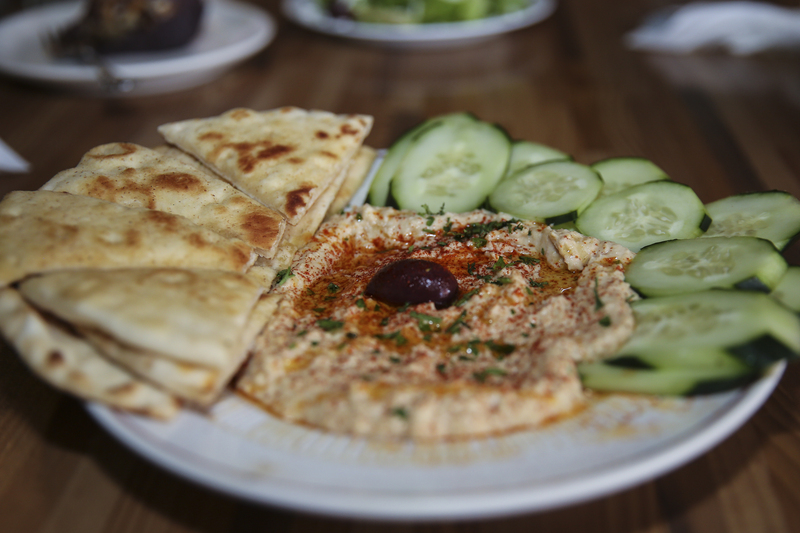 From the marinated assortment of meats, the flavor-filled pita bread, the mouth-watering humus, all the way down to the famous cucumber and cultured yogurt Tzatziki Sauce, – Papachino’s makes EVERYTHING! 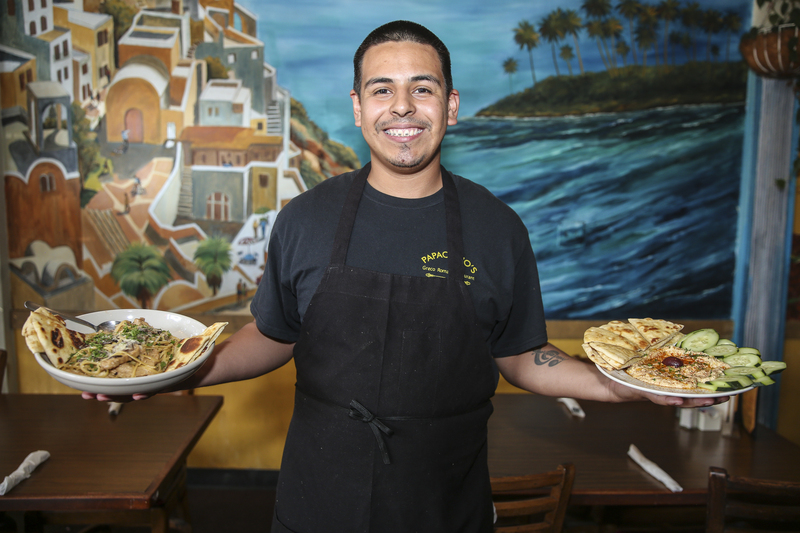 Since I was new to Mediterranean food, I asked Manuel if he had a favorite dish and he smiled. Manuel genuinely smiles from inside. “I really cannot pick a favorite Tasha, but I do love our Chicken Marsala,” he said. Can you guess what I tried? Yup! You got it! I went with the Chicken Marsala! From first glance of the dish, I had to pinch myself a bit! I could barely bring myself to pierce it with my fork, because it was so pretty to look at! It is cooked in-pan, with a Marsala wine sauce. Then, heavy cream is added to thicken the sauce even more. 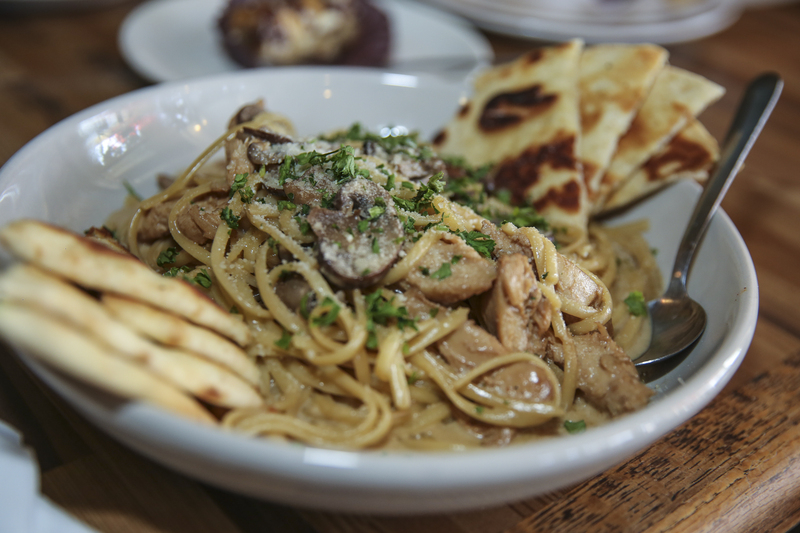 Finally, the dish is topped off with sautéed mushrooms that are seasoned to perfection! Next, I had a Gyro. The Gyro sandwich begins with a rotisserie mix of beef and lamb. The meat is then served over handmade pita bread and filled with a heap of seasoned tomatoes, sliced red onions, lettuce and Papachino’s specially made Tzatziki Sauce. 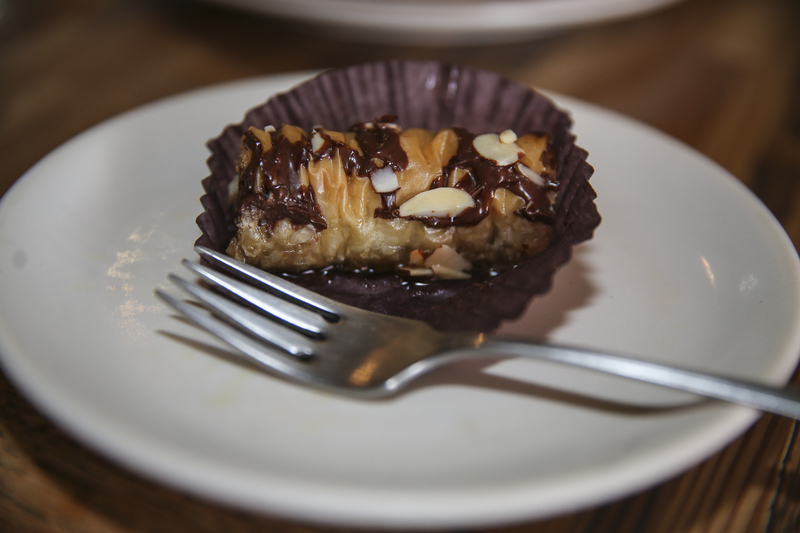 I ended my meal with a dessert called Baklava and I loved that as well! Preparing to go home, I asked a question just for you! Puree all ingredients with the left over garbanzo juice. Add garlic, paprika, and spices for flavor. Graciously, I thanked Christina for sharing her recipe, but I still had one last question for Manuel. 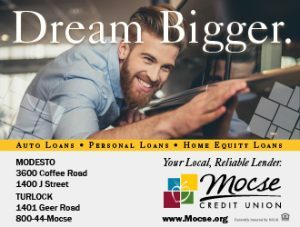 Let’s love our Modesto! Let’s embrace our Modesto! Let’s continue to spread our smiles in Modesto! C’mon Positive Peeps – IT’S WHERE WE LIVE!